This enchanting yoga retreat is a unique opportunity to re-connect with yourself while nestled in the lap of luxury in the foothills of the sacred Himalayan mountains in northern India. 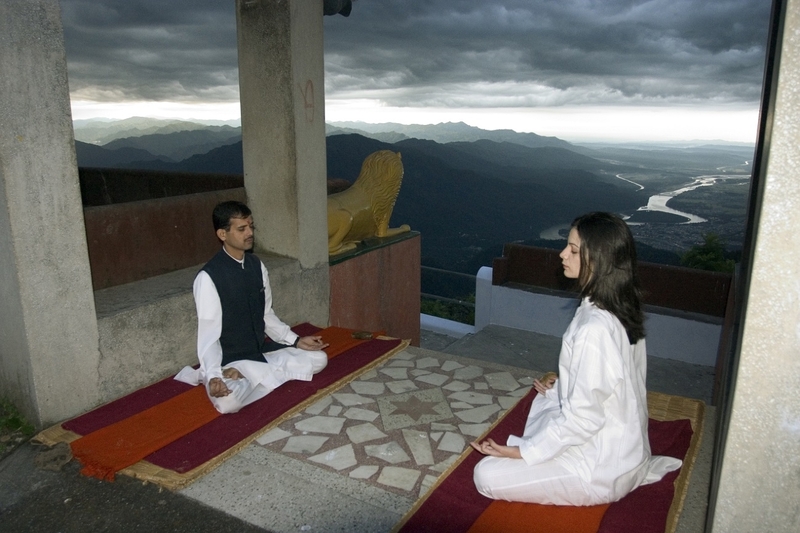 The Himalayas are considered the home of the ancient sages of India, where the practice of yoga originated, making it a spiritual and magical setting to deepen or commence your own yoga practice. 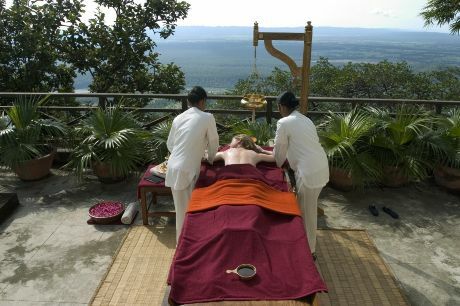 Ananda in the Himalayas is an exclusive spa and resort located in the mountains over 100 acres on the grounds of a maharaja’s palace, overlooking the Ganges river. Juhi Prasad, your dedicated yoga and meditation instructor, will guide you through a daily hatha yoga practice that will strengthen your body, calm your mind and lift your spirit. Juhi took up the practice of yoga 15 years ago to help manage the stress of her fast-paced global investment banking career, and followed her passion for yoga full-time by setting up her yoga studio in Goa seven years ago as a certified Sivananda Yoga instructor. 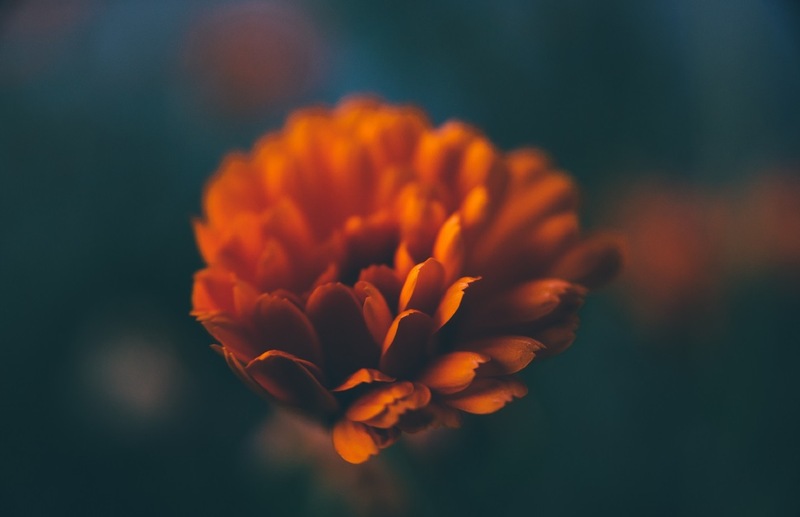 During the course of the Retreat, both through her yoga sessions and informal interactions, Juhi will share her experiences and insights drawn from her own quest for increased self-awareness. 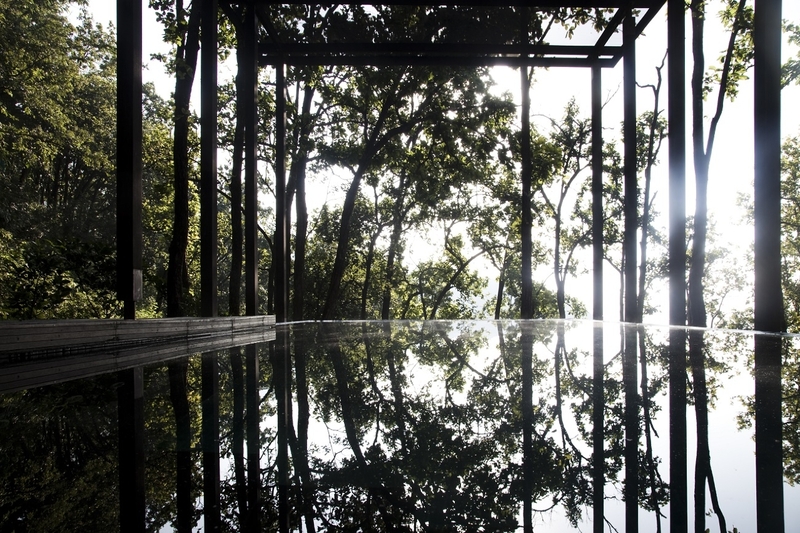 The retreat will run for 7 nights from November 13th to 20th, 2016, with 6 days of spa treatments and yoga sessions. 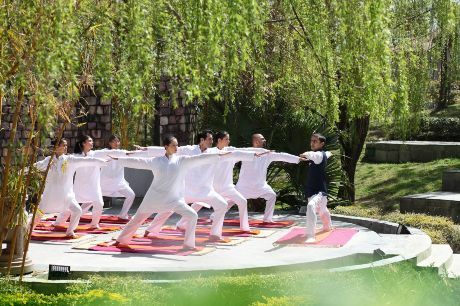 All yoga sessions will be group sessions. However, personalised attention will be given to each person, and the practice can be modified to suit individual needs. Yoga mats will be provided. Have a look at your daily schedule here. Juhi is a Sivananda Yoga trained instructor and certified yoga therapist. 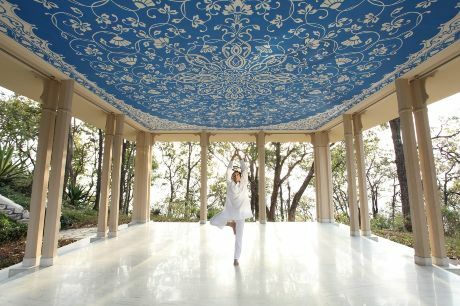 She has taught at various yoga and meditation Retreats in southern India before setting up her own practice in Goa. She also specialises in teaching yoga to children with special needs. Juhi started yoga 15 years ago to help balance her high-stress career in global investment banking. Her own experience has made Juhi appreciate the impact that yoga can have, not just on improving strength and flexibility of the body, but also on enhancing self awareness and calming the mind. She aims at imparting the same experience to her students. 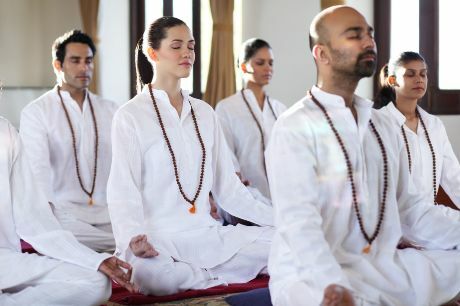 Juhi teaches in the traditional hatha yoga style, combining meditation and pranayama (breathing exercises) with asanas (postures) to provide a practice that integrates body, mind and spirit. When not teaching yoga, Juhi loves to explore different cultures through travel, food, literature and cinema. Ananda is situated in the town of Narendranagar, a small constituency forming a part of the state of Uttaranchal, close to the cities of Rishikesh and Haridwar. Please check for flight schedules on respective website from Delhi to Dehradun (45 minutes) for November. We are happy to help you with flights! 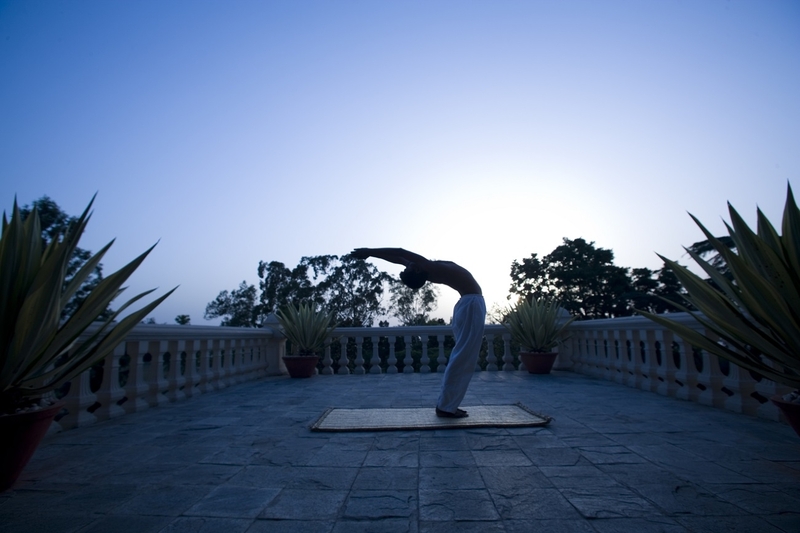 Rooms at Ananda are spacious with views of the Palace and the Rishikesh valley. 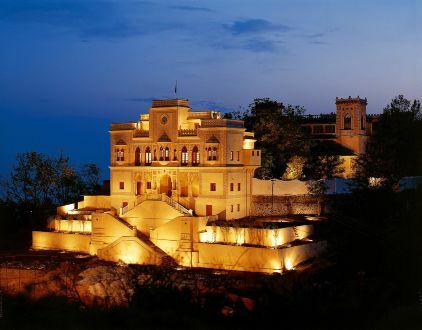 The 70 rooms in all comprise Palace View Rooms, Garden View, Valley View Rooms and Premium Valley View (top floors) rooms. They feature walk-in closets and perfectly appointed bathrooms with windows overlooking panoramic views. Each room opens onto large balconies with picture-perfect views, ideal for a private meal. Housed on the ground floor and overlooking the valley, the 3-bay Ananda Suite spells luxury and enchantment. 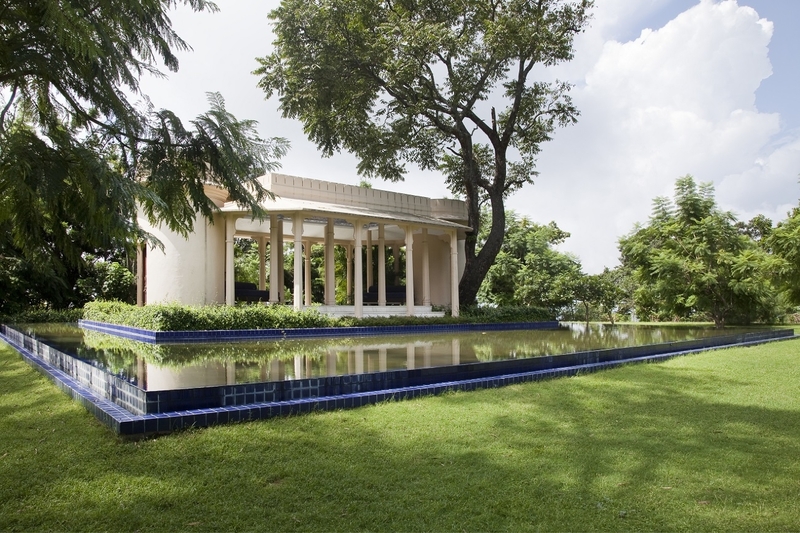 In the precincts of the Maharaja’s Palace, The Viceregal suite is a perfect retreat for the connoisseur. It comprises of a spacious sitting and dining area and a plush bedroom featuring a period four-poster bed. Named after the great mountain ranges Himalay and Shivalik and the river Ganga that sustains the people of the Valley, these beautiful villas are a dreamer’s escape.